Bryan Burrough (born August 13, 1961 in Tennessee) is an American author and correspondent for Vanity Fair. He has written six books. Burrough was a reporter for ''The Wall Street Journal'' in Dallas, Texas, between 1983 and 1992. He has written for ''Vanity Fair'' since 1992. While a Wall Street Journal reporter, he won the Gerard Loeb Award for excellence in financial journalism three times. Burrough has written a number of book reviews and OpEd articles for publications such as ''The New York Times'', ''Los Angeles Times'', and ''The Washington Post''. 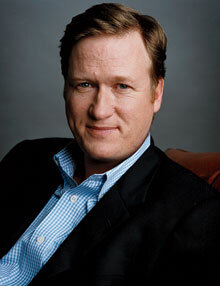 He has also made appearances on "Today", "Good Morning America", and many documentaries. He is credited as consultant on the films ''Wall Street: Money Never Sleeps'' (2010) and ''Public Enemies'' (2009).